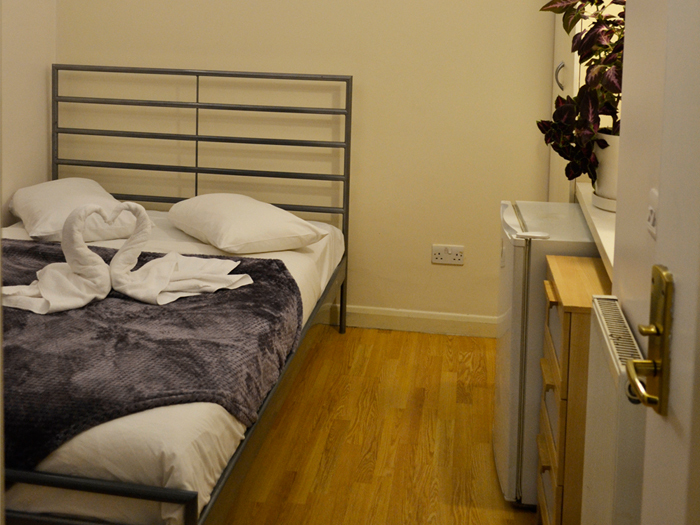 Our single rooms are great value for money for those who need an all inclusive accommodation right opposite Barking Station. A typical single room furnished with a double bed, wardrobe, chest of drawers, table & chair, refrigerator, television, tea & coffee facilities. Please note due to high demand there is a £10 rate increase on Saturday and Sundays.